Bright Kids Northfield had an exciting visit from ‘Animals In Hand.’ -Mo Safeer, the “Animal Man”, came to the nursery and brought with him many different animals. 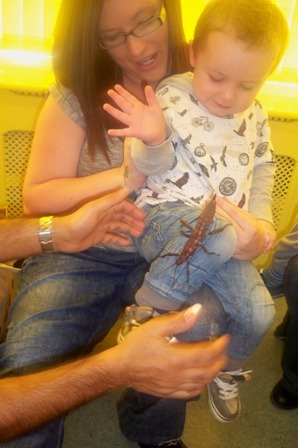 The children had the opportunity to touch, stroke and hold some exotic and magnificent animals such as the Freddy the Snake, Trevor the Toad, Rosie the Spider, Godzilla the Komodo Dragon and Woody the Stick Insect. 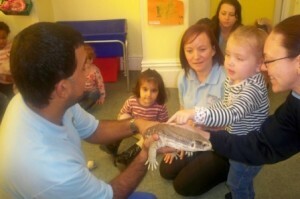 The children felt the different textures, explored the senses they use to see, smell and hear! 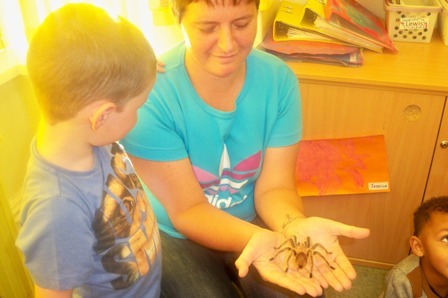 They counted the legs on the Tarantula and sang ‘Incy Wincy Spider.’ They talked about where Freddy the Snake lives and what he likes to eat. Children and staff really enjoyed it. A BIG thank you to all the parents that attended and joined in! 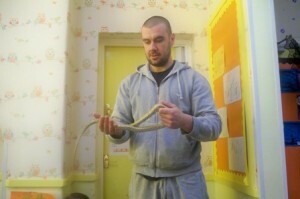 Thank you Animals in Hand!